He was not, incidentally, king of Upper and Lower Egypt or any other part of it, for that matter. Some of his distant predecessors were, but by the time Aspelta took the throne, the Kushite monarchs no longer ruled Egypt. The last Kushite king of Egypt was Tanwetamani who ruled ca. 664–653 B.C. and lost control of the ancient land to the north more than 50 years before Aspelta’s reign. The title is vestigial, a carryover of former glory rather than any stubborn claim to the throne of Egypt. 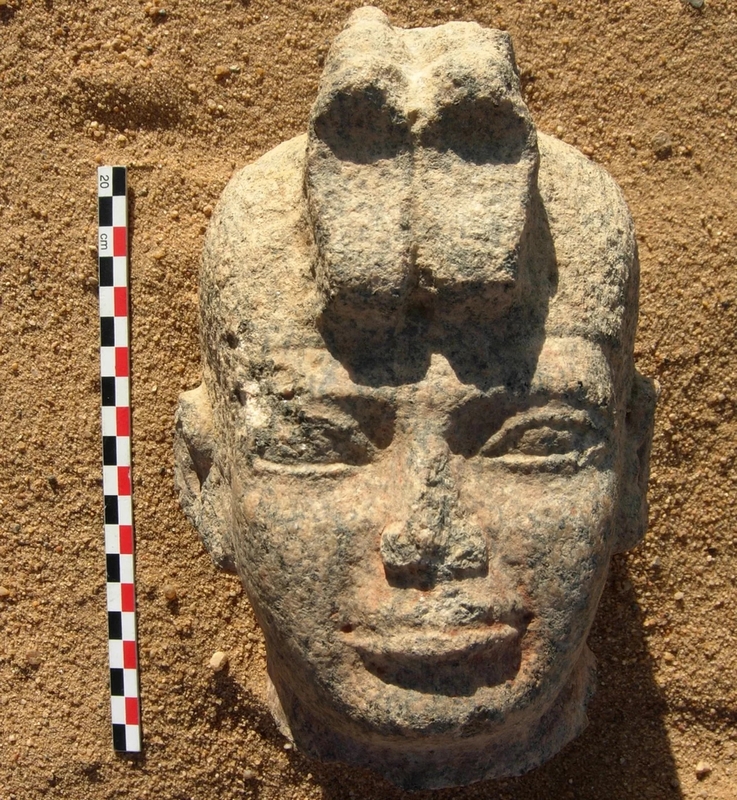 The Temple of Amun where the statue pieces were found is about 2,000 years old. 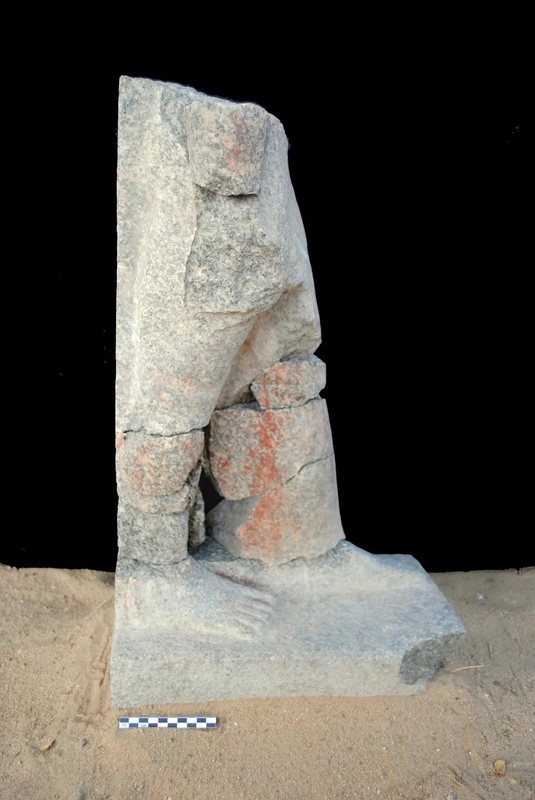 The statue of Aspelta is believed to have been carved during his lifetime circa 2,600 years ago. It was displayed in the temple long after his death for religious reasons. “Statues might be displayed in temples, particularly the forecourts of temples, after the reigns of the kings, as they may have served as intermediaries between the people and the gods in popular religion,” [excavation co-director Julie] Anderson told Live Science. The temple remained in active use until the early 4th century. Kush collapsed shortly thereafter and that was the end of the temple’s ancient prominence. 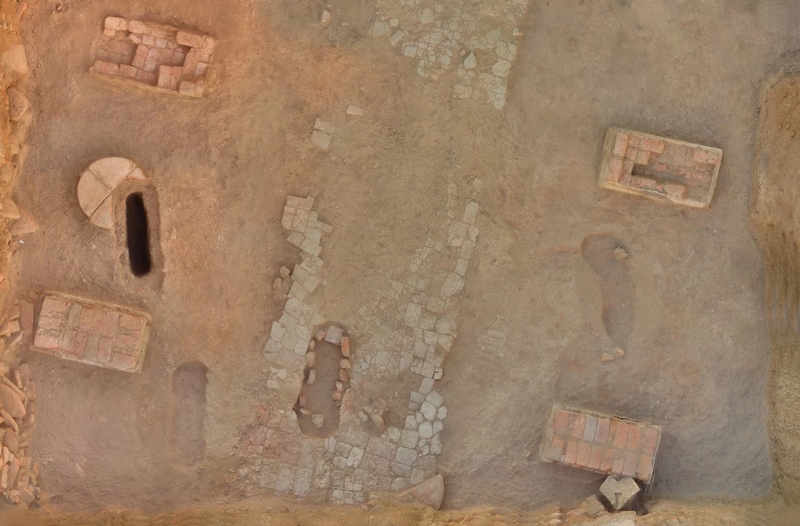 It retained enough significance, however, that in the Middle Ages the ruined temple was repurposed for use as a burial ground for wealthy people, even though the area was firmly Christian by then. The last two field seasons have discovered eight graves dating to between the late 11th and early 13th centuries containing skeletal remains of adult women and one juvenile. 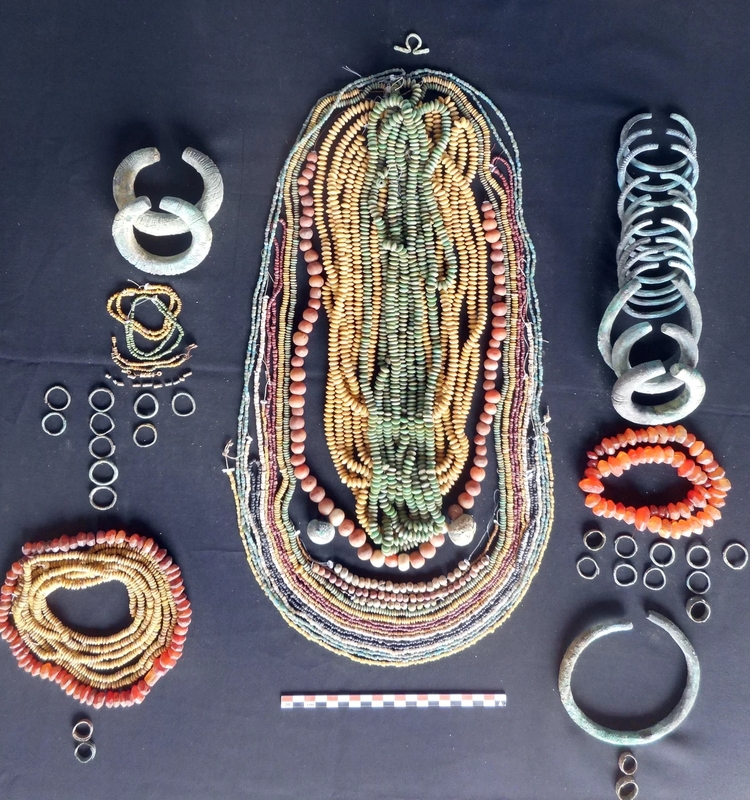 The tombs were rich with grave goods, among them elaborate bead necklaces, bead belts, rings, bracelets and anklets. 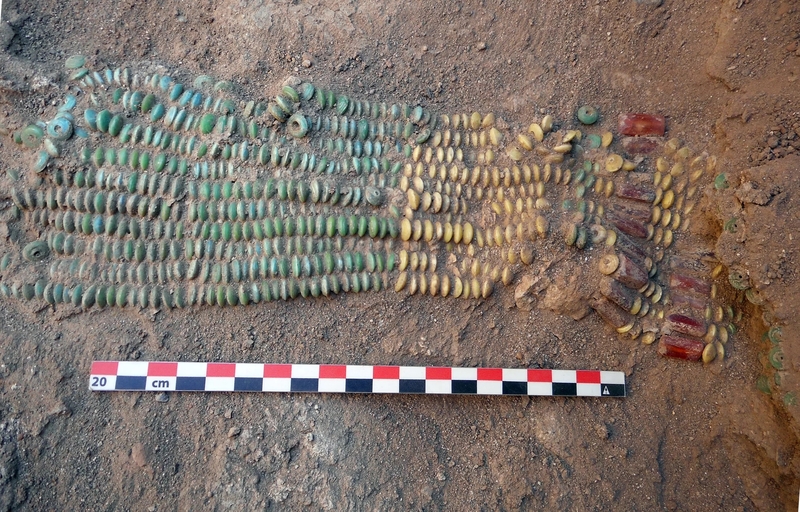 More than 18,500 beads and 70 copper bracelets in total were found in the eight graves. There are no indicators of who these people might have been. The jewelry suggests they were rich, members of the elite, but there are no names or any other information that might explain who they were or why they buried in the remains of an ancient temple dedicated to a sun god. Meanwhile, the statue of Aspelta is still being pieced together. 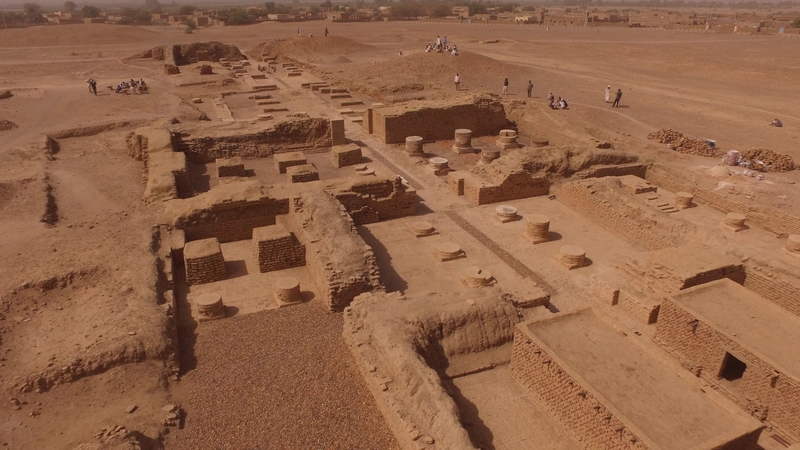 The Berber-Abidiya Project team, a collaborative effort of archaeologists from the British Museum and the Sudanese National Corporation for Antiquities and Museums (NCAM) are hoping to discover more fragments to aid in the reconstruction. Once more of the work is done, they’ll be able to tell how large a statue it was. Right now it looks to be about half life-size. Named after the region, the Berber-Abidiya Project aims to conserve the temple and its artifacts in situ so it can be converted into a museum and archaeological park. This will bring much-needed tourist attention to an area where cultural patrimony is in danger from development, road construction, agriculture and irrigation installations.